Sheen also says he "didn't like" acting in "Two and a Half Men"
Charlie Sheen and Natalie Kenly at the Live Nation headquarters in Beverly Hills. 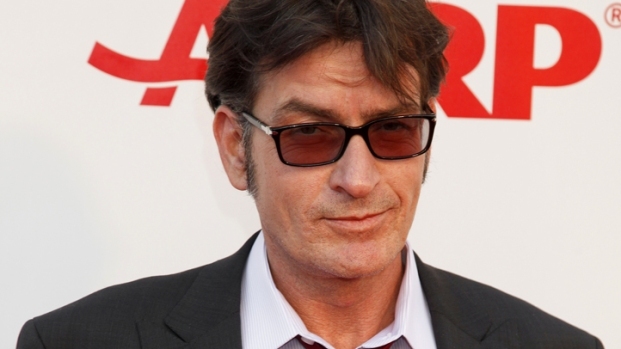 Charlie Sheen shows no signs he plans to stop courting controversy anytime soon. The newly fired "Two and a Half Men" star lashed out Tuesday at his former co-star, Jon Cryer, labeling him a "troll" and "turncoat" for failing to pick up the phone after Sheen was canned from CBS' top-rated sitcom. "Like I said: You're with me, or you're with the trolls," Sheen told E! News a day after Warner Bros. announced it had cut ties with its star. "Obviously he's with the trolls." Cryer had kept a low profile in the dispute between Sheen and his bosses, save an appearance on "The Ellen DeGeneres Show" where he mocked his employment status by pretending to be DeGeneres' new receptionist. But Sheen said Cryer missed his chance to reach out to him. "When I'm starring in multimillion-dollar films and he's begging me for a supporting role I'll say, 'You left me out in the cold with all of your guilt and stupidity,'" Sheen told E! Hours earlier, Sheen told Jeff Rossen of NBC's "Today" show that despite his firing, everything was going according to his own plan. "I didn't like that show anyway or those dumb bowling shirts they made me wear," he told Rossen. "Now I'm free." Yes, free to make his own sort of video, like the web production he put up Monday night showing him disheveled and barely coherent as he ranted about being in the midst of "an odyssey of epic, epic proportions." Later, he was spotted in Hollywood brandishing a machete while one of his "goddesses" looked on. Of course, despite claiming he's glad to be free of the hit CBS show, Sheen still says he will sue Warner Bros. for firing him a little over a month after having first taken it on hiatus so Sheen could seek help. "After careful consideration, Warner Bros. Television has terminated Charlie Sheen’s services on 'Two and a Half Men' effective immediately," the studio said in a statement to various entertainment sites. TMZ later posted a scathing 11-page letter that Warner Bros. lawyers sent Sheen's attorney to explain why execs were canning TV's highest paid star. The letter also included links to tabloid news coverage of Sheen's antics. Lawyers said they had "ample evidence" that Sheen had doled out cocaine to others, which would constitute a contract-breaking "felony offense involving moral turpitude." Sheen "has been engaged in dangerously self-destructive conduct and appears to be very ill," the lawyers wrote in the letter, which People magazine also authenticated. The letter said Warner Bros. "would not, could not and should not attempt to continue 'business as usual'" while Sheen "destroys himself as the world watches." But Sheen's physical appearance and working relationships with "Men's" staff and crew took a "dramatic turn for the worse" in October when he was hospitalized for a meltdown at New York's Plaza hotel, the letter said. Following a January 2011 trip to Vegas, Sheen was late returning to the set of "Two and a Half Men" and then missed rehearsals, the letter alleges. But "the worst was yet to come," according to lawyers for Sheen's bosses, who then referenced his Jan. 27 hospitalization following an alleged two-day bender at his home. Execs "had an airplane ready to take him" to rehab, but Sheen did not want to "leave his home for treatment" that he had previously agreed to, according to the letter. After Warner Brothers' initial statement was released,TMZ.com posted a statement from Sheen in which the actor called the development "good news." 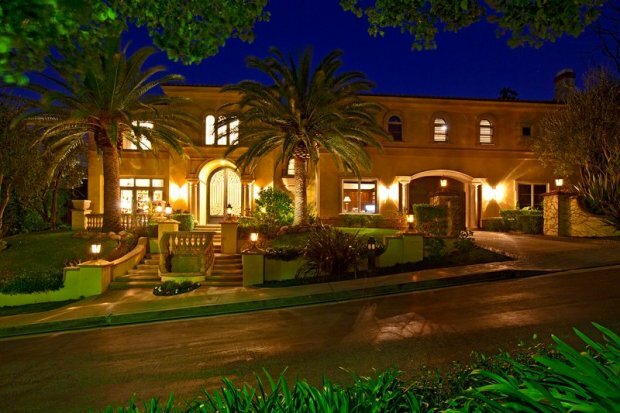 In another Sheen development, NBCLosAngeles reported that a planned custody hearing over Sheen's children with ex-Brooke Mueller set for Tuesday morning had been canceled as talks between the two sides progressed. Selected Reading: TMZ,Variety, People, E!